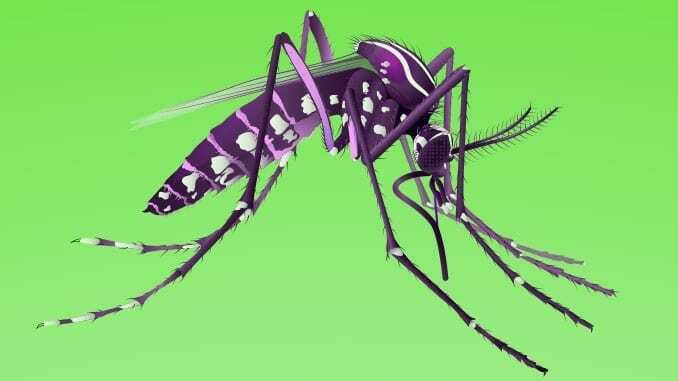 The Biomedical Advanced Research and Development Authority (BARDA) has announced intentions to award a research and development contract to Evolva in support of a “Novel Toxicant and Repellent for Arthropod-borne Virus Vectors (NTRAVV)”. CDC and Evolva have already entered into and executed a Cooperative Research and Development Agreement (CRADA) and a Commercial Licensing Agreement with the goals to achieve EPA registration of the biotoxicant Nootkatone as a killing agent and repellent against mosquitoes. The requirement of this contract is to conduct all safety and efficacy trials required for such EPA registration. The ongoing Zika virus epidemic is severely impacting the public health in Latin America and the Caribbean and appears to be spreading into Southeast Asia. In addition, Zika virus is an imminent threat to the southern part of the continental U.S., where the primary mosquito vectors, Aedes aegypti (the predominant vector) and Aedes albopictus, are widespread and abundant. While the virus produces a range of outcomes in infected individuals, the most dire and long lasting effects of infection are seen with fetuses exposed to the virus in early to mid-stages of a pregnancy. New insecticides with modes of action that allow them to kill mosquitoes that are resistant to pyrethroids and other commonly used toxicant active ingredients are urgently needed to ensure effective emergency control of adult mosquitoes in the short term and improved management of insecticide resistance through toxicant rotations or mosaics in the long term. Nootkatone, a plant-derived compound, has demonstrated a great deal of potential for use against the Aedes mosquito vectors that transmit Zika, yellow fever, dengue, and chikungunya viruses. Nootkatone appears to have a mode of action distinct from that of currently used toxicants and therefore may overcome the resistance issues hampering current emergency control efforts. Nootkatone presently is used in the flavor and fragrance industry and is considered “food grade” and therefore safe for human consumption and topical application. Nootkatone and other compounds extracted from Alaska yellow cedar and common to citrus products are patented by scientists at the Centers for Disease Control and Prevention-Division of Vector-Borne Diseases (CDC/DVBD) for use to control arthropod vectors of disease agents. Evolva has a patented yeast fermentation process for producing high-purity, food-grade Nootkatone. CDC is currently working with Evolva to evaluate formulated test products and Evolva holds a Commercial Licensing Agreement for the CDC/DVBD patents. However, CDC/DVBD lacks the formally certified laboratory facilities required to conduct the efficacy trials needed for EPA registration of Nootkatone as a mosquito toxicant and repellent. This contract will overcome the hurdles internal to BARDA and its PHEMCE partners through engaging external expertise to rapidly conduct all safety and efficacy trials required for EPA registration of the biotoxicant Nootkatone as a killing agent (toxicant) and repellent against mosquitoes of public health importance.